It may sound strange, but it is quite possible to make a meat dish vegetarian. Of course, it will contain no meat at all, but its nutritional balance will be just the same. The vegetarian dish that can fully substitute meat is called “seitan”. Seitan is a nutritious, high-calorie, protein-rich product, called "wheat meat" by some people, or simply "gluten." This is one of the best 100% vegan meat substitutes. From it, you can cook a variety of dishes, similar in taste to beef, pork, or chicken, etc. Seitane "meat" can be made soft - as if baked in a pot, or hard - like a chop. If you've ever tried a vegan dish from "beef" or even "chicken" in a Chinese restaurant, then you've tried the seitan. 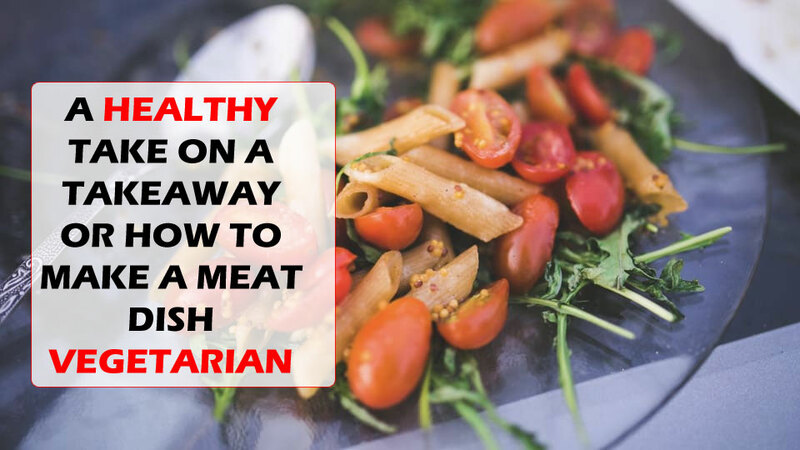 In some specialized vegan shops, as well as in large supermarkets, you can find and buy ready-to-eat dishes from seitan, but making a seitan at home is cheaper and much more interesting, and - with some experience - palatable. Some people "extract" seitan out of wheat flour: it needs to be washed to remove starch and leave pure gluten. However, of course, it's much quicker and easier to buy a dried seitan. The preparation of a seitan from a semi-finished product leaves you a large space for imagination - cooking it is not so "straightforward" as one might think, as it's not a rice! You can cook a variety of dishes, but here you need some skills. Having gained a little experience, you will be able to cook the most delicious vegan "meat" dishes. Let’s proceed! Theoretically, you can eat seitan having unpacked it and boiled. However, who wants to get a plate of unattractive food of grey color? Therefore, other products, such as pea or chickpea flour, are often added to the seitan, as they make it softer. Softness can be achieved by mixing some food yeast into the seitan - which, in addition, enrich the dish with vitamins. Among the liquid products that can be added to the seitan are: vegetable broth, olive oil, tamari sauce, soy sauce or liquid amino acids. Solid foods include another flour and spices. Having mixed the shredded seitan, solid and liquid ingredients together, we get a "dough" - here we are halfway to the perfect food on your plate! It is clear that if you want to cook something like vegan "mutton ribs", then the dough should be kneaded more. The variety of the recipes is amazing, just try them! As well as meat, imitated by seitan, it must be flavored with spices. However, seitan even wins in this sense, because it is a more convenient product, as spices can be added to it both "outside" and "inside"! For example, if you want to give the future "meat" a special taste “like a chop”, try to add a little tomato paste in the mixing step of the dough. If you suddenly missed the taste of a real chop - it's worth pouring a little cumin, coriander, oregano and paprika into the seitan - they are traditionally used in cooking steaks and will add credence to your tasty dish. Moreover, if you want a seitan "chicken", "pork" or something more neutral to taste - use ready-made vegan flavoring, sauces or broths. Alternatively, it is even easier and more affordable to add thyme and sage. After the soybean dough is ready you can also add spices. How to cook it? The easiest way is to put out a little oil in a frying pan - it will turn out to be a crust. Slices of seitan can first be fried in flour with spices, and then boiled in a soup. Seitan in small pieces is better to be seasoned with garlic powder, salt from celery, black or cayenne pepper. In seitan "ribs" and "steaks" it is good to rub a mixture of spices 15 minutes before frying. 2 tablespoons of cayenne pepper (you will get 1/3 cup of a mixture of spices, which will be enough for a long time). Seitan dough, just like any dough, must first be mix with water and knead. The more you knead the soybean dough, the more elastic will be the final product! If you want to get a soft seitan - knead it a bit. The most part of the recipes with the seitan recommends mixing the seitanic flour with water and kneading for 3 minutes. Then you have to let it stand for about 10 minutes, and then to knead for another 3 minutes. When you mix the seitan, you will feel how its consistency changes, the liquid flour becomes more elastic - it forms gluten. If the dough can be stretched, and then it immediately shrinks back - this is the desired elasticity, and the final product will be similar to meat. The most common method of cooking seitan is to put it on low heat. Therefore, it turns out soft. However, it's not so easy. It is important to stew seitan on the slow fire, otherwise - if water boils and boils - you can get a "rubber sponge". Many people like to bake seitan - yes, it really can be very tasty! This, in fact, is also the simplest method - no foil, no steamer, no pans with broth are necessary! In addition, this dish does not need to stand until tomorrow, it's tasty at once. Particularly suitable this method of preparation is, if you decide to make "ribs" or something stronger than stewed seitan, which usually turns out soft. Oil the frying pan and lay out the dough and let it stand it as mentioned above. You can stretch or grind seitan "cutlets" in a pan as you like, and, if necessary, cut into smaller pieces. Then put a mixture of spices on top, and bake for an hour or so - the seitan should bake to hardness. Take the baking sheet out onto the stove. When sticking again, cut the "sausages" and put the finished product on a dish. Then you can add sauce and finally eat it! Alternatively, bring it to perfection in the framework of another, an additional recipe. The good news is that although the preparation of a seitan requires some time and skill, the end result can be much better than a ready-made dish from the store! In addition, there is nothing to limit your creative culinary fantasy. As you see, you can make a meat dish vegetarian and vice versa. All you have to do is to find the recipe to your taste and cook it consequently. Melisa Marzett is a woman, who has incredible skills in writing. You are welcome to check for her works at essay editors from essaycorrector. She will impress you with her manner of writing and exquisite style. Is the treatment of Sinus possible with Ayurveda?